“Ulumāheihei knows everything inside and outside” was the saying, alluding to matters that came up at the court of the chiefs and elsewhere. When Kamehameha I was king, Ulumāheihei was a trusted advisor. In the time of Kamehameha II he had suppressed Kekuaokalani in a rebellion after Liholiho broke the ʻai noa (free eating) kapu; he commanded the forces against a rebellion by Prince George Kaumualiʻi on Kauaʻi. Ulumāheihei became noted as a war leader for his victory over the rebels. Ulumāheihei’s father High Chief Kameʻeiamoku was one of the “royal twins” who helped Kamehameha I come to power – the twins are on the Islands’ coat of arms – Kameʻeiamoku is on the right (bearing a kahili,) his brother, Kamanawa is on the left, holding a spear. Kameʻeiamoku died at Lāhainā in 1802, and his lands descended to his son, who afterwards became governor of Maui. Ulumāheihei’s first marriage was to Chiefess Kalilikauoha (daughter of King Kahekili of Maui Island.) Liliha his daughter/hānai was born in 1802 or 1803. Like his father, he was a devoted and trusted advisor and chief under Kamehameha. Hoapili was with Kamehameha when he died on May 8, 1819 at Kamakahonu at Kailua-Kona. While Kamehameha was still alive he allowed Keōpūolani to have other husbands, after she gave birth to his children; Kalanimōku and Hoapili were her other husbands. In February 1823, Keōpūolani renounced the practice of multiple spouses for royalty, and made Hoapili her only husband. In May 1823, he and Keōpūolani moved to Maui and resided in Lāhainā; they asked for books and a chaplain so they could continue their studies. Hoapili served as Royal Governor of Maui from May 1823. After the death of Keōpūolani, her husband, Hoapili, was the leading representative of the Christian faith. In 1823, Kalākua Kaheiheimālie (ke Aliʻi Hoapili wahine, wife of Governor Hoapili) offered the American missionaries a tract of land on the slopes surrounding Puʻu Paʻupaʻu for the creation of a school. Betsey Stockton founded a school for makaʻāinana (common people) including the women and children. The site of the school is now Lahainaluna School. On January 2, 1840, Ulumāheihei (Hoapili) died in the stone house at Waineʻe. 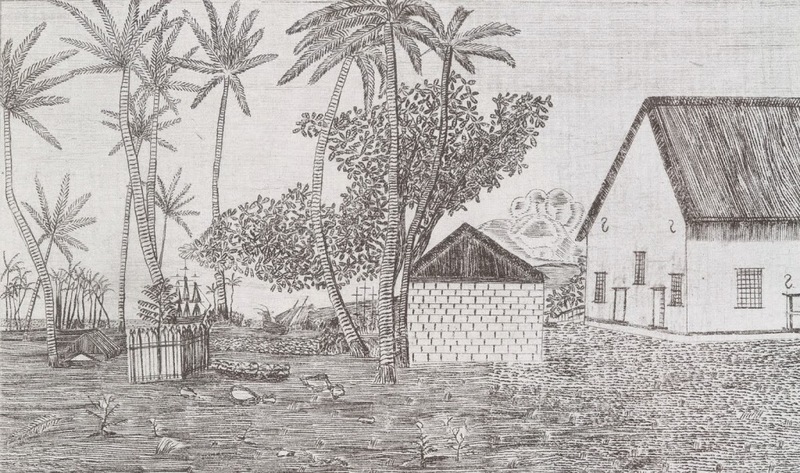 The image shows a drawing of Hoapili by CC Armstrong. Geologically, Kauaʻi is the oldest of the main inhabited islands in the chain. It is also the northwestern-most island, with Oʻahu separated by the Kaʻieʻie Channel, which is about 70-miles long. In centuries past, Kauaʻi’s isolation from the other islands kept it safe from outside invasion and unwarranted conflict. The whole of the northwest coast (Napali) show the remains of extensive agricultural work and a fairly extensive population; the Mana region had clusters of house sites in the dry valleys that cut through the cliffs. Nearly all the great river valleys are thoroughly terraced and show evidence of population. The principal location of the house sites is on the shore line, especially near the mouths of the river valleys where the taro was growing; in the mountains are some house sites and small villages. The boundaries of the five moku on Kauaʻi were changed in the late-1800s to reflect the present day judicial land districts, Kawaihau, Hanalei, Waimea, Kōloa and Līhuʻe. In 1877, Hanalei and Līhuʻe shared a common boundary. Kawaihau was set apart by King Kalākaua, who gave that name to the property lying between the Wailua River and Moloaʻa Valley. A bill was introduced into the legislature and the eastern end of Hanalei District was cut out and Kawaihau became the fifth district on the island of Kauaʻi. Then things changed for Kauaʻi and the rest of the Islands. In the dawn hours of January 18, 1778, on his third expedition, British explorer Captain James Cook on the HMS Resolution and Captain Charles Clerke of the HMS Discovery first sighted what Cook named the Sandwich Islands (that were later named the Hawaiian Islands.) He first landed at Waimea, Kauaʻi. After a month’s stay, Cook got under sail again to resume his exploration of the Northern Pacific. Shortly after leaving Hawaiʻi Island, the foremast of the Resolution broke and the ships returned to Kealakekua Bay for repairs. On February 14, 1779, at Kealakekua Bay, Cook and some of his men were killed. At the time of Cook’s arrival, the Hawaiian Islands were divided into four kingdoms: (1) the island of Hawaiʻi under the rule of Kalaniʻōpuʻu, who also had possession of the Hāna district of east Maui; (2) Maui (except the Hāna district,) Molokaʻi, Lānaʻi and Kahoʻolawe, ruled by Kahekili; (3) Oʻahu, under the rule of Kahahana; and at (4) Kauaʻi and Niʻihau, Kamakahelei was ruler. Kaumuali‘i was the only son of Kamakahelei and Kāʻeo; he was born in 1778 at Holoholokū, a royal birthing heiau specifically designated for the birth of high ranking children. Kaumuali‘i became ruling chief of Kaua‘i upon the death of his parents. In 1784, Kamehameha I began a war of conquest, and, by 1795, with his superior use of modern weapons and western advisors, he subdued all other chiefdoms, with the exception of Kaua‘i. King Kamehameha I launched his first invasion attempt on Kaua‘i in April of 1796, having already conquered the other Hawaiian Islands, and having fought his last major battle at Nuʻuanu on O‘ahu in 1795. The island was never conquered; in the face of the threat of a further invasion, in 1810, at Pākākā on Oʻahu, negotiations between King Kaumuali‘i and Kamehameha I took place and Kaumualiʻi yielded to Kamehameha. The agreement marked the end of war and thoughts of war across the islands. After King Kamehameha I died in 1819, Kaumuali‘i pledged his allegiance to Liholiho, Kamehameha’s son and successor. Kaumuali‘i settled in Honolulu and became a husband of Kaʻahumanu, widow of Kamehameha I. 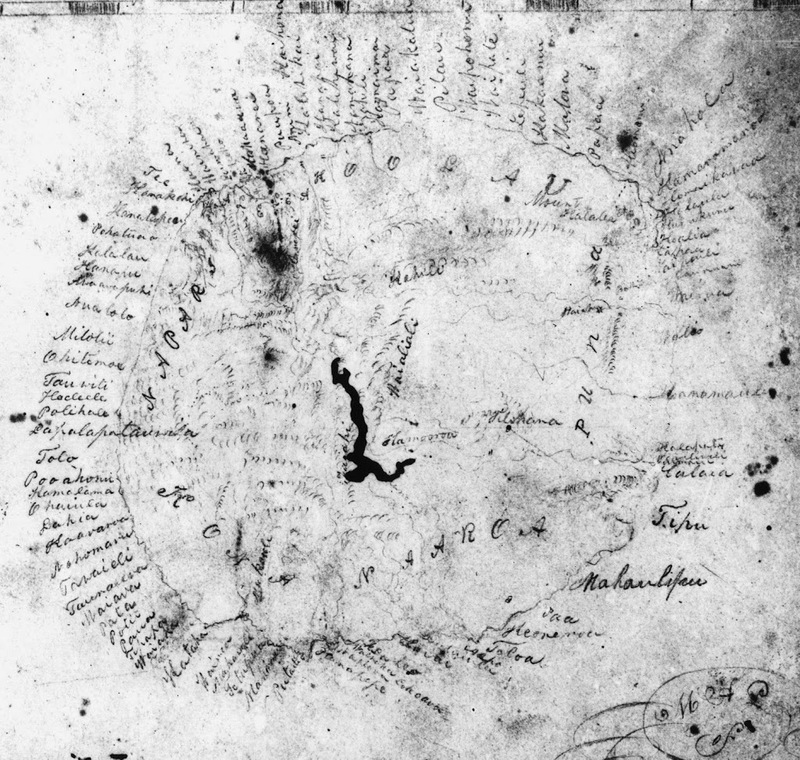 The image shows a map of the island of Kauaʻi, noting moku (districts) and ahupuaʻa. I added a couple of other images in a folder of like name in the Photos section on my Facebook and Google+ pages. Her mother refused to follow the custom of the period and hānai her baby daughter to the rearing of another chief. Keōpūolani wanted to keep the last of her children at her side. Toward the end of 1820, the decision was made to move the king’s official residence from Kailua-Kona to Honolulu. In early-1821, Liholiho, with his family, including Keōpūolani, Kauikeaouli and Nāhiʻenaʻena, and the important chiefs, established the seat of government on Oʻahu. In the spring of 1823, Keōpūolani established a residence away from Honolulu in a grove at the foot of Diamond Head; there she hoped to find a quiet place to restore her health and to hear the new gospel without interruption. At the end of May in 1823, Keōpūolani, Nāhiʻenaʻena and Hoapili (Keōpūolani’s husband) moved to Maui and took up residence in Lāhainā. 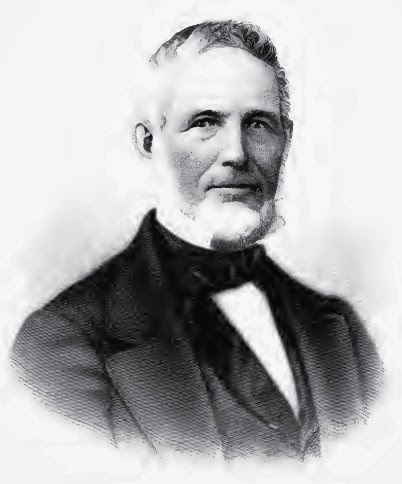 Missionaries Charles Stewart and William Richards were assigned to establish a church and teach “letters and religion”. The princess and her mother spent warm peaceful days in the study of letters and religion, interrupted occasionally when people came to celebrate their affection for the chiefesses by dancing and singing. Usually a great crowd assembled to watch. Later that year, Keōpūolani became very ill and died. After Keōpūolani’s death, Nāhiʻenaʻena was placed in the care of Hoapili, her mother’s husband and governor of Maui, and of the two missionary teachers, Stewart and Richards, to whom she was already devoted. In accordance with Hawaiian custom, Hoapili soon remarried. Nāhiʻenaʻena’s mother had been the first chief to be baptized a Protestant; her stepfather became the first chief to be married in a Christian ceremony. Richards conducted the service which united Hoapili to Kalākua, one of Kamehameha’s former queens. In 1825, Nāhiʻenaʻena’s brother – King Kamehameha II – traveled to England. To celebrate his return, a yellow feather pāʻū was made for Nāhiʻenaʻena. A pāʻū was a women’s garment that was typically a rectangular piece of kapa (tapa) wrapped several times around the waist and extended from beneath the bust (for royalty) or the waistline (for commoners) to the knee. This special pāʻū was about 9-yards long, made of feathers, instead of kapa (it is the largest Hawaiian feather piece ever recorded.) Due to the unfortunate death of Liholiho and his wife Kamāmalu, the pāʻū was worn in grief, rather than celebration. There were repeated claims of incestuous behavior between Nāhiʻenaʻena and her brother, Kauikeaouli. On November 25, 1835, Nāhiʻenaʻena and Leleiōhoku (son of Kalanimōku) were married in Waine’e Church; the ceremony was performed by Richards. She became pregnant the next year and on September 17 she had a son, who lived only a few hours. Nāhiʻenaʻena had been ill and continued to be gravely ill after the childbirth. She died shortly thereafter, December 30, 1836. On February 14, 1837, Kauikeaouli, King Kamehameha III, was married to Kalama Kapakuhaili. 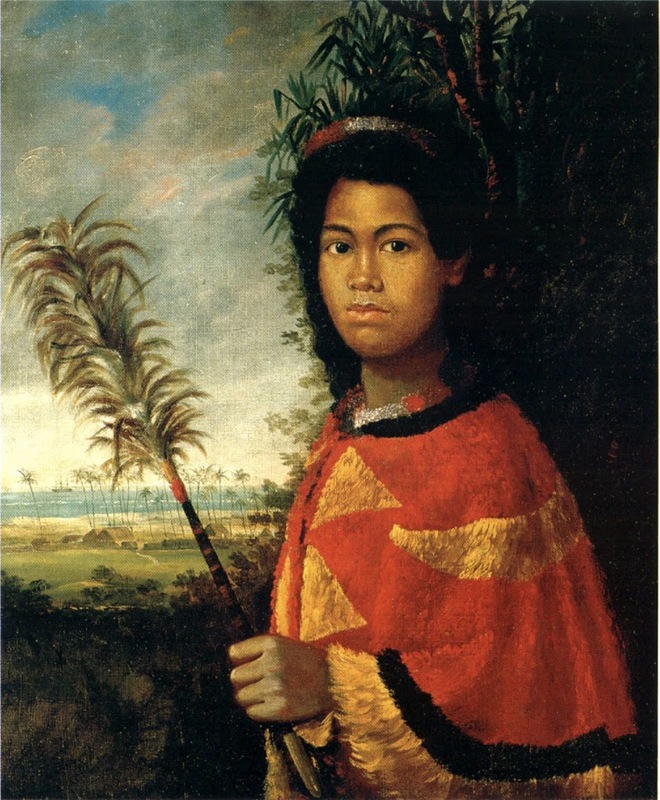 Leleiōhoku married a second time to Princess Ruth Keʻelikōlani; he had a son William Pitt Kīnaʻu from his second wife. 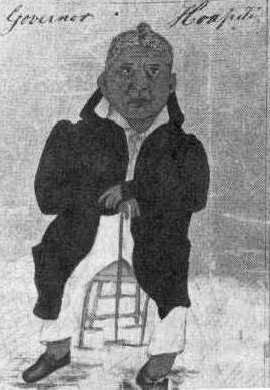 The image shows Nāhiʻenaʻena drawn in 1825. In addition, I have added other images in a folder of like name in the Photos section on my Facebook and Google+ pages.